July Promotion For Our Social Media Friends!!!! During the month of July our Social Media Friends can get married Monday - Friday 9-4pm for the low price of $299 + HST. That's right! 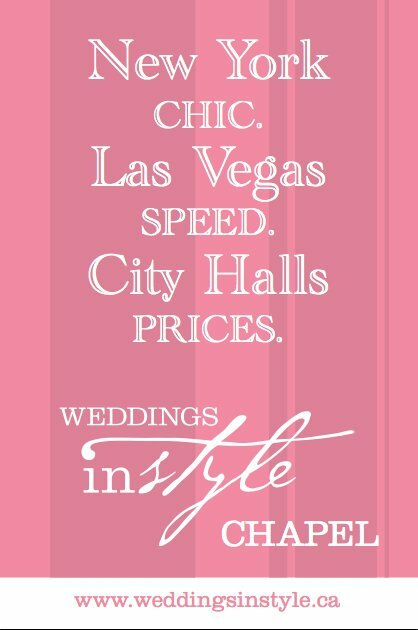 For a limited time offer, you can get married InStyle for less than what City Hall is charging, and without all the imposed restrictions. Gone are the days of thinking that City Hall and Las Vegas are your only options for a quick, uncomplicated exchanging of vows. Midweek weddings are becoming more popular with couples who want to save money or avoid having to wait years for their wedding day. Intimate weddings are really hot right now and are the trend for 2011. 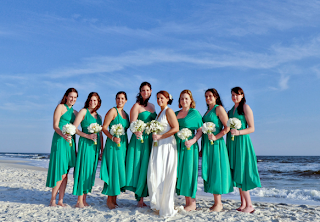 Brides are going for a more personal and comfortable approach. 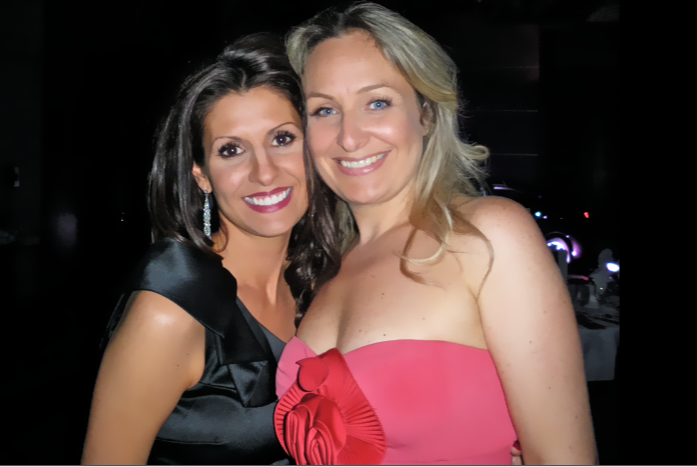 It’s all about gathering your family & friends and celebrating your marriage InStyle! “Having a small wedding doesn’t mean having to settle. 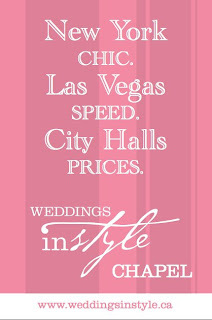 "Thank you Weddings InStyle for giving us the wedding we never knew we could have! We will be forever grateful to you!” This was a quote from one of our weddings who were booked at City Hall and cancelled upon learning about us. (see website/gratitude section for full quote). With Love Bridal Boutique and Chic Weddings are inviting you for a Bridesmaids Night Out! Although, if I might say you don't need to be standing up for anyone in the near future to want one of these AMAZING dresses! Bubbles and cupcakes and a candy bar will be available for you to enjoy while they show you all the ways you can wear these amazing dresses. 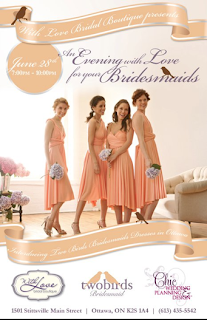 Danielle a representative from Twobirds Bridesmaids will also be on hand to demonstrate the versatility of the dress. Check these dresses OUT! I'm definitely buying one in black! and its not for bridesmaid purposes either. Talk about THE NEW VERSATILE LITTLE BLACK DRESS! It comes in different lengths too, so you can have long and flowy or short & sassy! or if you are up for something a little different you can get it in a two-tone as seen below! Talk about CHIC! These dresses are available for sale now at With Love Bridal. So if you are interested in getting one, I might suggest attending the swanky soiree to learn how to wear all 15 different ways, and if you can't attend for some reason THERE is an app for that! Dana, owner of With Love Bridal just informed me. Everyone in attendance also walks away with a bridesmaid swag bag and a chance to win the Ultimate Bridesmaids Survival Kit! I suggest checking out the Twobirds Bridesmaids site to see the gorgeous colours and styles that are available! Something VERY InStyle & we LOVE we hope you do too! New beginnings” may have been a theme of Thursday night’s Forty Under 40 awards gala but, for many recipients, remembering the lessons of the past are the keys to continued success. 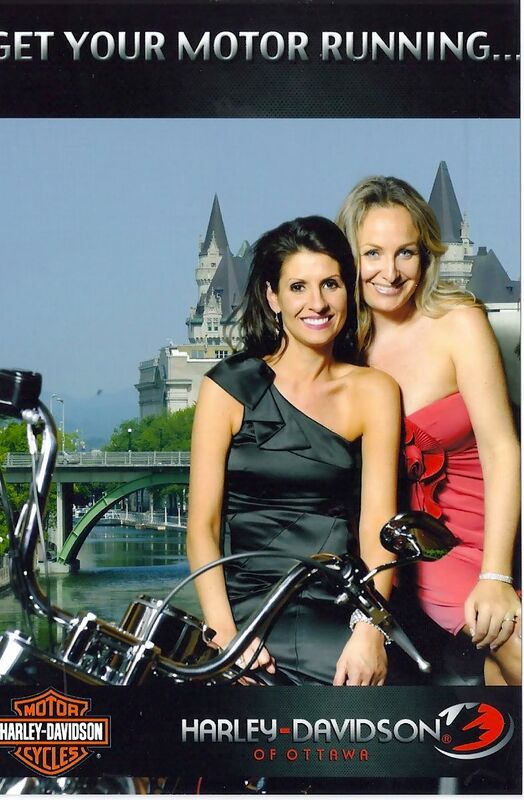 This year’s event, held at the Hilton Lac-Leamy, was the 15th anniversary of OBJ’s Forty Under 40 awards, which have evolved from a newspaper feature to one of the premiere events of the year for Ottawa’s business community. Along with tales of searching for financing and finding work-life balance, the evening featured personal stories of overcoming hurdles, which were part of Amanda's story of how she got started back in 2007. Many guests tweeted congratulatory wishes, as well as observations on some of the finer-dressed attendees, which were displayed on a large projection screen at the front of the room. By the end of the night, #OBJ40 was a trending topic in Ottawa on Twitter. Thursday night’s recipients were selected based on their business achievements, expertise and community involvement. 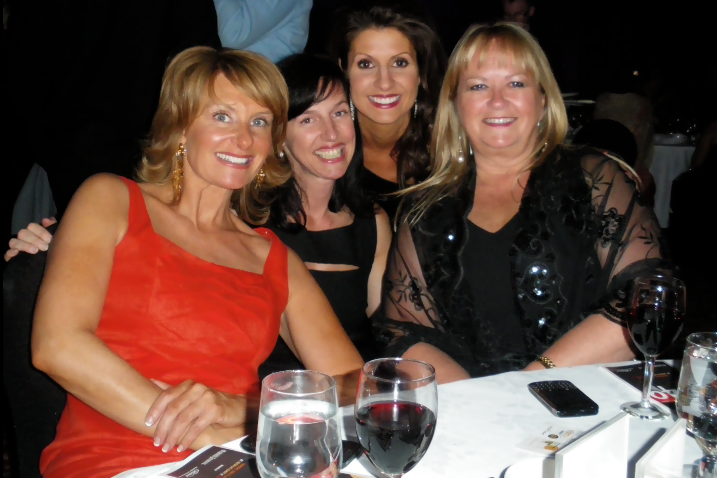 The event also raised $8,986 for the Royal Ottawa Foundation for Mental Health. We would like to personally congratulate all this years recipients. A full list of their names can be found here. Some fun shots from the evening. Wedding Season is officially upon us and we think REAL testimonials & reviews are the best way for other aspiring couples to learn about Weddings InStyle. We are so confident about the level of service we offer and the stress we melt away, but perhaps we are a little bias, so this is where you come in. Quality Of Service On your biggest day, the quality of service from your vendors makes all the difference! Your vendor's ability to pay attention to details and follow through on their contract goes a long way in making your day one to remember. 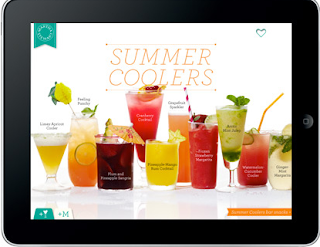 Responsiveness It is absolutely important to have a responsive vendor. Unresponsive vendors can lead to unnecessary stress during the overall wedding planning process. 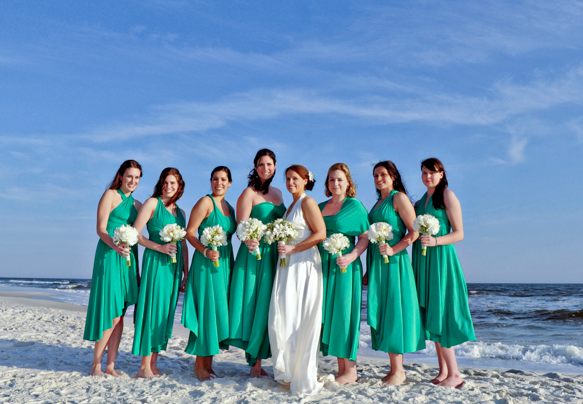 Professionalism Your wedding is a lifetime milestone that will forever be remembered. It is important to have a professional wedding vendor who will fulfill their duties while treating you respectfully. Value for Cost Weddings are a once-in-a-lifetime occasion so it is natural to push the budget. However, there is still a distinction between value and cost. Flexibility No wedding ever executes flawlessly from start to finish. Vendors that can work with you and adjust to your schedule can dramatically reduce the strain of the planning process. Thanking you in advance for your time & your review!